It's so hard to believe that it was one year ago that I got my business license and officially started "Holly Von Lanken Photography." It's been a crazy, exciting, incredible journey to see where I started and how far I've come. This time last year, I had two weddings booked for 2015. I prayed and asked God for 5, which I thought was a lofty goal considering I hadn't even shot a wedding on my own yet. Then, the Lord blessed me with 12 amazing couples who's wedding days I was able to be a part of. I am so thankful for these couples for trusting me with the important task of capturing their love in photographs and especially to those first couple of clients who took a risk on me. I feel incredibly blessed by all those who have encouraged me to keep doing what I'm doing and I'm excited to see what the Lord has in store for 2016! Alas, I put together a little superlative list of the weddings I've done this year. Enjoy! Everyone kept telling Megan how "timeless" she looked on her wedding day, and I must agree. Big shout out to my assistant Katelyn that day. She ran in several circles to help us get the shot. I'd say a 30 person wedding (including the bridal party) counts as intimate. Getting to spend time with this couple and their friends and family was so enjoyable. I loved every minute of it. This one was a toughie. There were so many incredible moments to Coleman and Elizabeth's Savannah Wedding, but I must say, leaving by boat is the way to go. Laurel and Andrew love the outdoors and that translated so clearly into their woodland themed decor (and chacos). Ginnie and Tyler had a day wedding so no sparklers for them, but they did have sprinkles! Lots and lots of sprinkles. This exit was definitely the most colorful (and possibly messiest) but it was awesome! Another tough one to choose, but Emily and Zach's friends definitely know how to throw down on the dance floor. You read that right, Kassie and Billy's sweet pup had a place with the wedding party at their sweet lakeside wedding. It started out all nice and sweet and then quickly transitioned into the Whip/Nae Nae. Definitely my kind of reception. Family was a huge focus for Jessica and Brandon and I loved seeing them interacting with their brothers and sisters. The photos, speeches, everything were both comical and sweet. I think Jessica and Ben would be the first to say they're not very traditional, which made this wedding so unique and full of laughs and fun. You may all be thinking now how you can incorporate mimosas and fire throwers into your weddings. 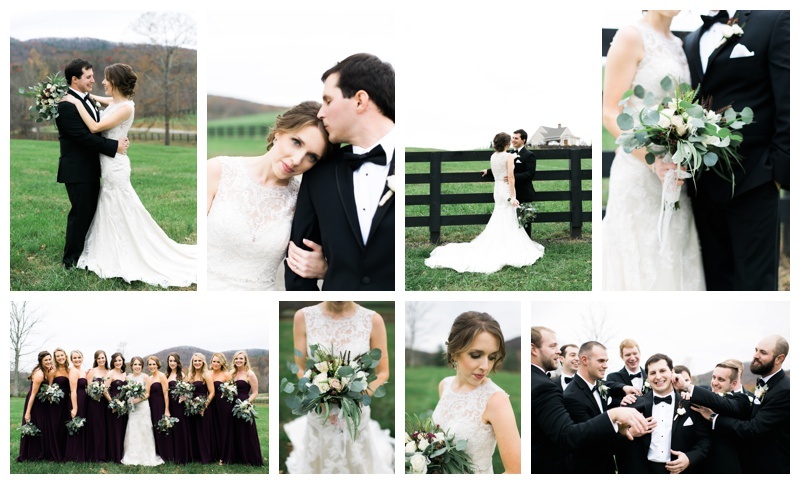 Maddy and Matt had a flawless wedding. Not only is this couple beautiful on the inside, but outside as well. Everything was done to perfection with impeccable style. I may have to come back to these photos if I ever get to plan my own wedding one day.